Commissioned by the Marguerite-Bourgeoys School Board (Montreal, Quebec). 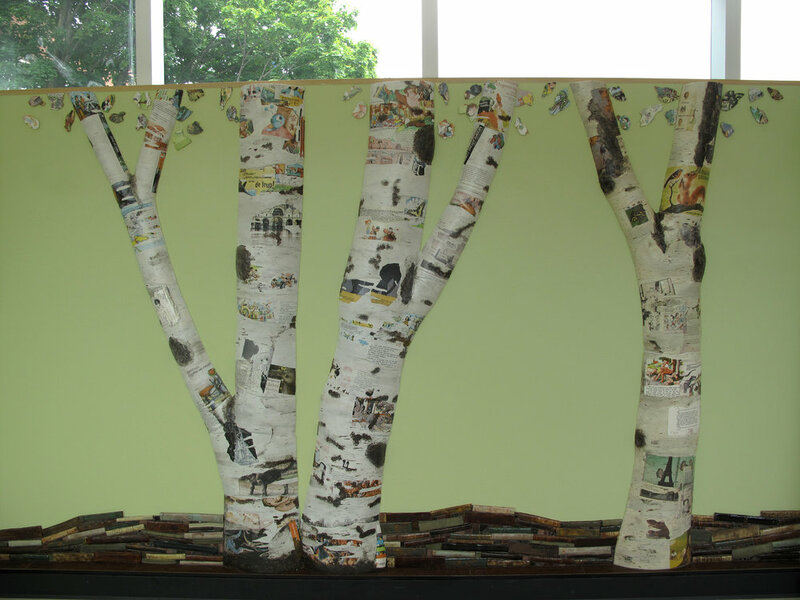 This was a collaborative project with the students of École Katimavik-Hébert. Each student chose their favourite image or passage of text. These sources were then use to create the leaves and tree bark texture. Fabricated by Mosaika Art & Design.